PUREhappiness: words to live by. I totally agree with this one! 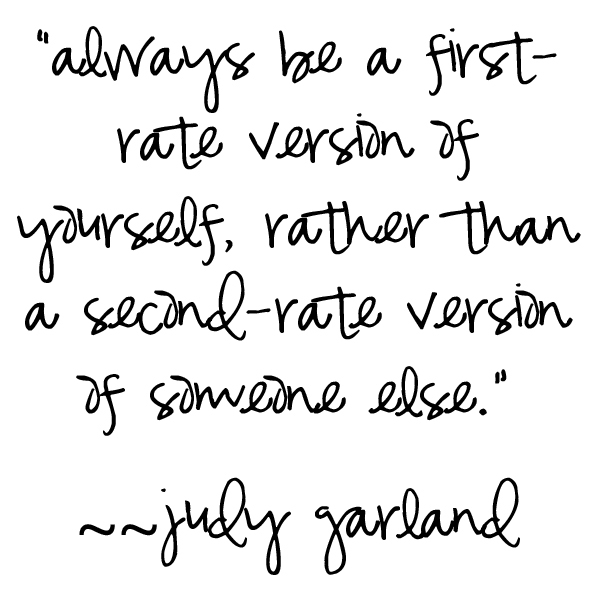 but when i saw it was Judy Garland who said it made me think a little bit more, as she spent her whole life struggling to be what 'the studio' wanted her to be, and what that quote must have meant to her personally. that's interesting... perhaps she said this after reflecting on the pressures she faced as such a young girl entering hollywood. i couldn't find a year for the quote. wow. 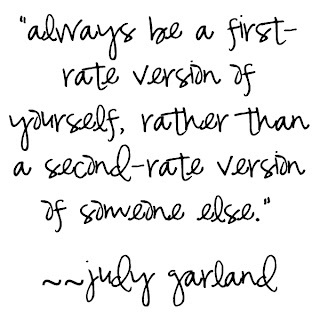 that judy is full of wisdom! OMG@ I love this quote...This is so true! I always love visiting your blog!! thanks gabriele, i love having you here!